This terracotta wall mounted bird feeder will provide a convenient & safe venue for feasting garden birds. 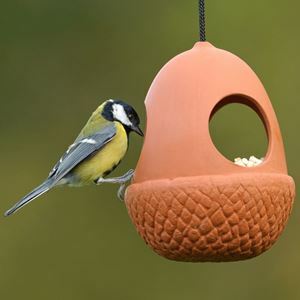 The bird feeder has a flat back for hanging on walls, fences, pergolas or in trees or other favourite spots around the garden. 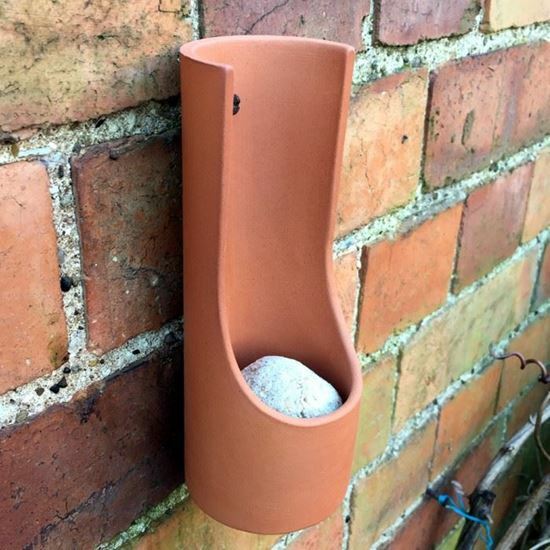 Three large holes provide easy access for the birds to reach their food whilst drainage holes in the base prevent water logging. 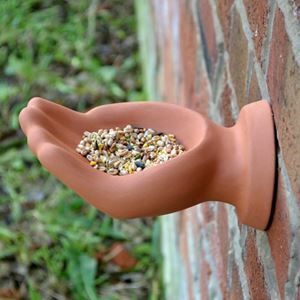 This novel hand bird feeder has been designed for fixing on walls, fences & pergolas around the garden to give hungry birds a helping hand. With a drainage hole in the palm to prevent water-logging. Fix with a screw when mounted on an outdoor wall or garden fence.